Michael A. Kohanski received his Bachelors of Science in Bioengineering from the University of Pennsylvania in 2002 and his M.D. and Ph.D. from Boston University in 2011. Dr. Kohanski’s graduate work in the laboratory of Jim Collins focused on antibiotic mechanisms of action and the development of antibiotic resistance where Dr. Kohanski helped identify a common cell death mechanism among bactericidal antibiotics. 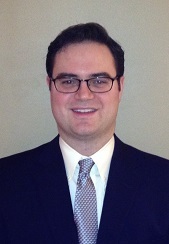 Dr. Kohanski completed his otolaryngology residency training at The Johns Hopkins Hospital in 2016, and a research and clinical fellowship in rhinology at the University of Pennsylvania in 2018. Dr. Kohanski’s research fellowship focused on exploring the role of solitary chemosensory cells in chronic rhinosinusitis with nasal polyps. He demonstrated that solitary chemosensory cells are the epithelial source of IL-25 in the sinus and are significantly enriched in polyp tissue. Dr. Kohanski joined the faculty of the Department of Otorhinolaryngology at the University of Pennsylvania as an assistant professor in 2018 with the goal of growing the Rhinology Division’s translational and basic science research program. Dr. Kohanski’s lab studies the pathways employed by solitary chemosensory cells that translate taste signaling to type 2 inflammation. Understanding the molecular and physiologic underpinnings of solitary chemosensory cell biology may provide new insight into the role of solitary chemosensory cell-mediated inflammatory signals in the development of sinus polyps. From his Ph.D. work on antibiotic mechanisms of action and the development of antibiotic resistance, Dr. Kohanski also has an interest in understanding the evolution of antibiotic resistance as it pertains to the use of antibiotics in the treatment of chronic rhinosinusitis.